The perfect proposal must always take place in the perfect location. Every proposal is unique, but there are a few spots around the world that tend to attract lovers looking to “put a ring on it,” as they say. For instance, the Eiffel Tower and Niagara Falls are popular places where you might catch someone popping the question. Wedding website Hitched.co.uk was able to round up these romantic spots by analyzing data from Instagram — more specifically by collecting posts that included common hashtags you might see from a newly engaged friend, like #engaged, #shesaidyes, or #bridetobe. Using this data, the website found the top 10 landmarks where couples officially decided to spend the rest of their lives together. It also calculated how often couples end up getting engaged there, in case that sways your decision. 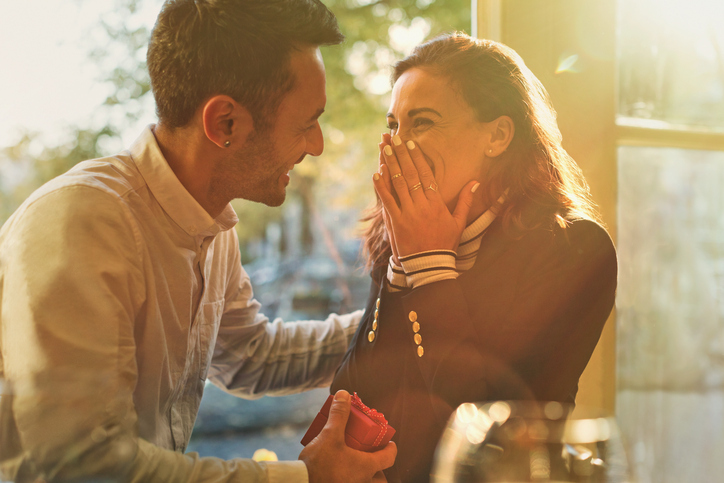 If you’re thinking about buying a diamond anytime soon, you might consider these romantic places to ask those four little words.